This course of study introduces students to PL/SQL, Oracle’s procedural extension language for SQL and the Oracle relational database. Participants explore the differences between SQL and PL/SQL and explore how PL/SQL is used to extend and automate SQL in administering the Oracle database. Oracle Application Express (APEX) is utilized to provide practical, hands-on, engaging activities. Leveraging project-based learning techniques, students will create and work with projects which challenge them to enhance the SQL of a database solution for a business or organization. This course of study has around 180 hours of teaching and learning activities. 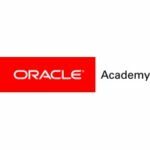 This course introduces students to PL/SQL, Oracle’s procedural extension language for SQL and the Oracle relational database. Participants explore the differences between SQL and PL/SQL. Students also examine the characteristics of PL/SQL and how it is used to extend and automate SQL to administer the Oracle database. This course culminates with a project that challenges studentsto program,implement, and demonstrate a database solution fora business or organization.